What Is The Best Subwoofer Brand For Your Car Stereo? When it comes to choosing a subwoofer to install with your car stereo system, there are many models to choose from; you should be paying attention to the maximum power handling, RMS watts, depth, and number of voice coils that the subwoofer has. Even when you have considered all of the above variables, there will be at least 10 speakers with the exact same specifications; the only thing that may differentiate those subwoofers from each other is the brand that has produced them. Many people will overlook the importance of choosing the best subwoofer brand, but I will tell you from personal experience that it is one of the most crucial tasks of buying a subwoofer. This article is not a bible of brands, and should not be followed literally; but rather, it is simply a list of the best subwoofer brands. It would definitely be a great idea to choose your subwoofer from the selection of speakers that these brands offer; this will ensure a strong bass sound, and a long life span. 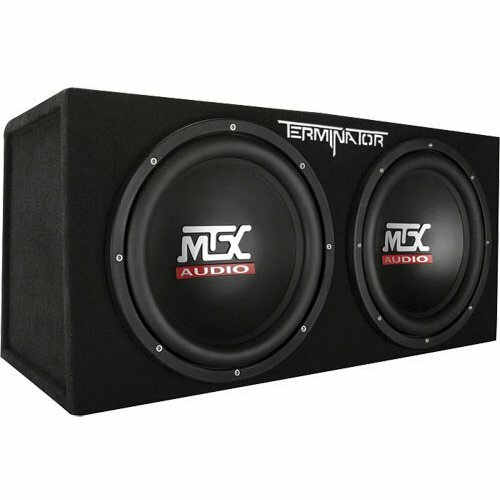 MTX Is The Best Subwoofer Brand If You Are Looking For A Good Speaker on A Budget! MTX speakers have had mixed reviews from many people because they do not produce an absolutely amazing bass sound; however, I have chosen them to be the best subwoofer brand for people that have smaller budgets. MTX 10 and 12 inch subwoofers have a unique sound that is not perfect; however, they will allow you to wake you Credit: Amazon.comr neighbours for a relatively small cost! You can purchase some MTX subwoofers on Amazon for discounted prices; you can literally get a pair of subwoofers for under $100! You should not consider the selection of MTX speakers if you want competition level sound quality; however, you should definitely choose from their selection if you are looking for cheap subwoofers with a lot of power. A Kicker Subwoofer Is What You Need If You Like Long Warranties. The unfortunate thing about many subwoofers is that they end up blowing their voice coils once they have been abused. How can you abuse a subwoofer? All that you have to do is send more watts to it than the subwoofer can handle; simply pair it up with a powerful car amplifier, and the voice coils Credit: Amazon.comon the subwoofer will be fried! 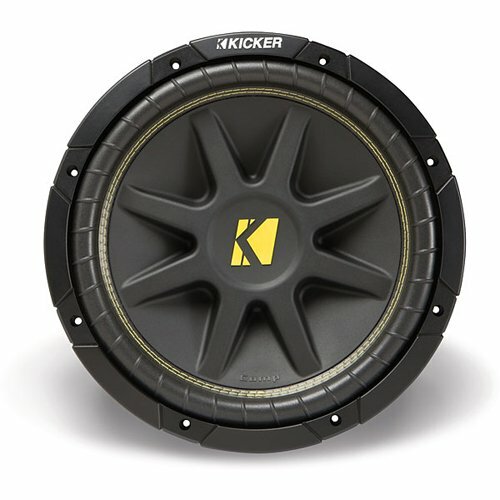 Kicker subwoofers come with a wide variety of long warranties, which definitely makes Kicker the best subwoofer brand for those individuals that enjoy the security of being able to turn the volume up on their car stereo system without the worry of throwing their money down the drain. The last thing that someone wants to do is spend a lot of money on a pair of subwoofers, only to have the speakers fry a few weeks later. Kicker is the best subwoofer brand because of the extended warranty that they offer! Be sure to check out the Infinity subwoofers on Amazon being sold at ridiculously low prices...Some are being discounted at up to 60% off of their original price! You Should Consider Infinity As The Best Subwoofer Brand If You Have A Larger Budget. Infinity is sort of the opposite of Infinity in that it is the best subwoofer brand for those individuals that have some more money to spend on their car’s stereo system. Infinity subwoofers are at the competition level, and boast as much as 1200 watts of RMS power in a 10 inch subwoofer. The only downside to the Infinity subwoofers that are for sale is that they cost a lot of money. One positive aspect of spending a bit more money on speakers from the best subwoofer brand is that their cones are made with durable material, and the outer shell of the subwoofer is reinforced with 2 types of rubber. All of these features make Infinity subwoofers ideal for those individuals that want to be able to throw their hockey bag in their trunk without the worry of damaging their subwoofers. Does The Brand Of Subwoofer Matter? It is a common misconception that all subwoofers are created equally, and that the consumer should only pay attention to the amount of watts and voice coils in the subwoofer. However, you should always pay attention to the brand of the subwoofer that you are buying because it will actually play a large role in how your bass sounds, how your bass feels, and the life span of your speaker! With all of that being said, this article mentions the best subwoofer brand in regards to three aspects: small budget, large budget, and long warranty. The brand that you decide to buy your car subwoofer from will greatly depend on which of those 3 aspects directly relates to your situation. I am not trying to say that you should only buy a subwoofer from one of the three brands that are featured in this article; however, I am trying to explain that I have installed, owned, and listened to subwoofers from all three of these brands, and they are definitely your best bet!